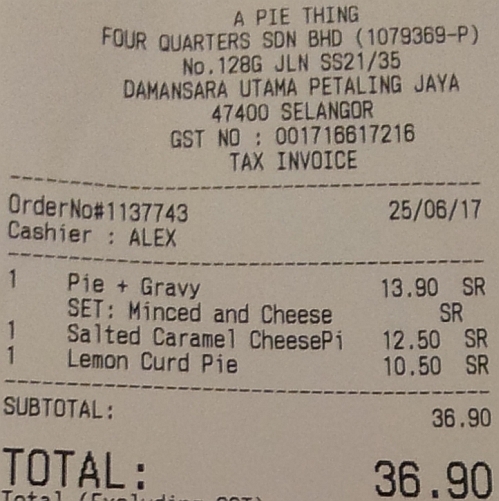 Salted Caramel Cheese Pie - MYR12.50 nett. Each sweet pie is 10 cm (about 4 inches) in diameter. I do no like to eat caramel but this pie tastes so good. The almond flakes on top are coated with salted caramel making the texture crunchy yet chewy, sweet yet salty. Very tasty and reminds me of the "Sat Kei Ma" snack. The cheese filling is just the sidekick to the salted caramel almond flakes. As it sticky, it is difficult to cut. I gave half to my friend and the above half is mine which I ate a portion each day for 3 days because even though it is salty, it is sweet so I can only eat a bit each day. 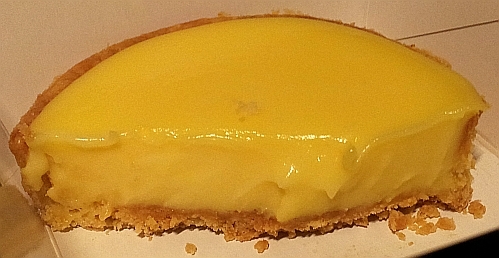 Lemon Curd Pie - MYR10.50 nett. The tangy taste of the lemon curd goes well with the buttery taste of the pastry crust. 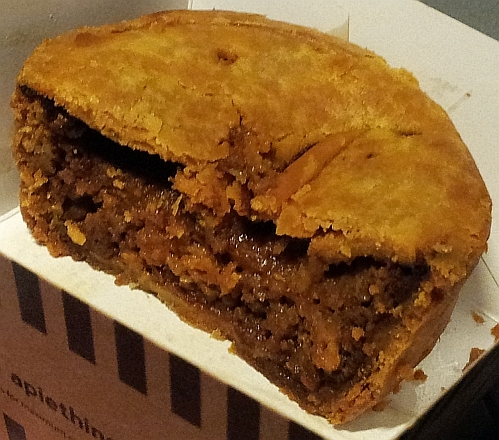 Side View - The pastry crust is thin yet has a very strong butter taste. 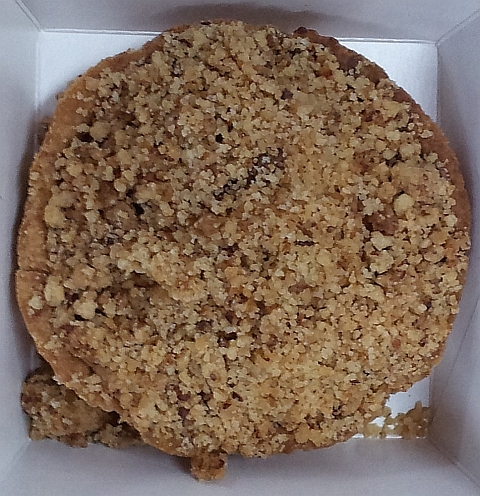 Apple crumble pie - MYR12.50 nett. True to its name, when I cut it in half to share with my friend, the whole pie crumbled and I had to eat it with a spoon. Only for those who likes to the taste of cinnamon. Best eaten with a dollop of ice cream since it is quite dry but it is not served with ice cream so you have to take it home to eat it with ice cream. 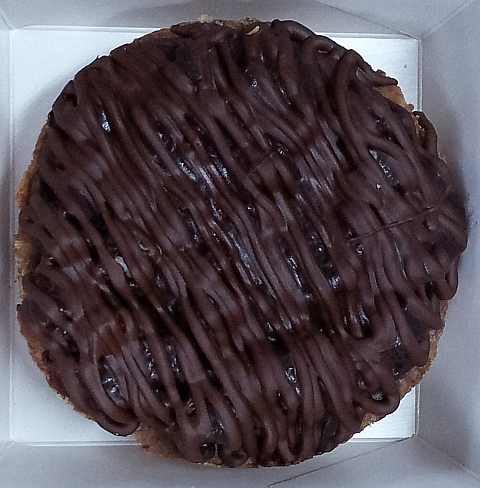 Chocolate Fudge Pie - MYR12.50 nett. Rich chocolate taste. I can only eat one eight a day due to its sweetness. My purchase for that day. 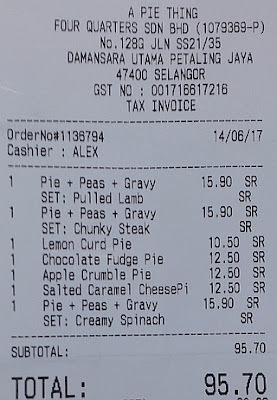 I went there again and bought a minced pie (takeaway) at MYR13.90 nett. It was supposed to be a Minced and Cheese pie but I could not taste the cheese at all. All I could taste is the cumin with minced beef. 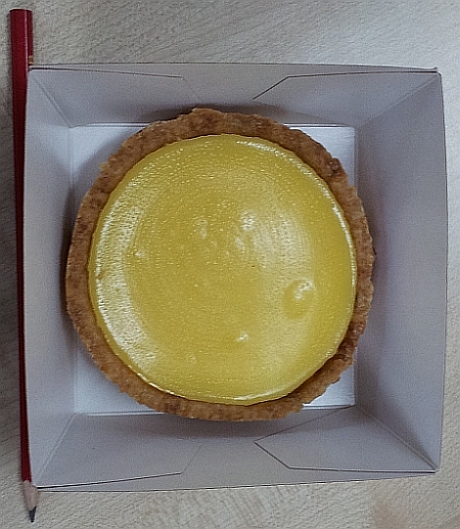 I bought salted caramel cheese pie and lemon curd pie again because they are very tasty. I like savoury ones, meat pies! the sweet ones are tasty too. I would go for the lemon curd pie. 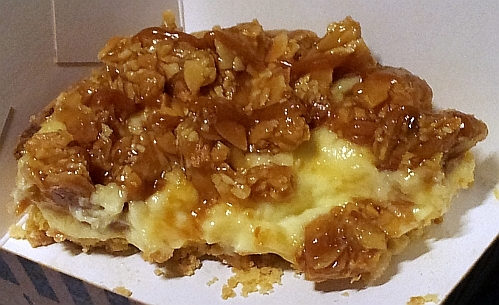 But the salted caramel cheese pie appealing to me too. 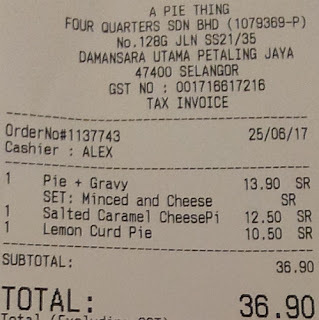 both are nice but the salted caramel cheese pie has a slight edge over the lemon pie. Time really flies! I think I have not stepped inside for 2 years now. 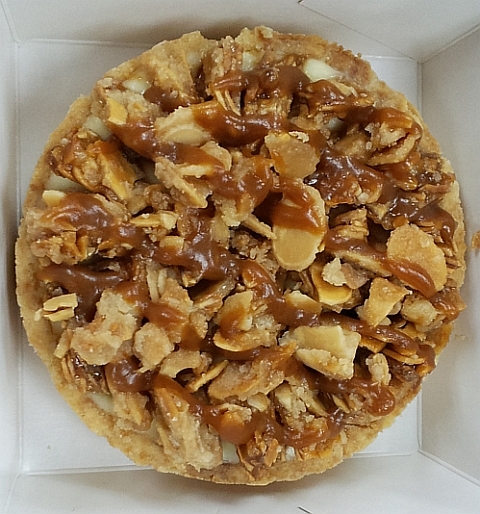 I am attracted to see this Salted Caramel Cheese Pie. This is my kind of yummy pies!!! go try the sweet pie if you have not eaten it before. this salted caramel pie is worth a try. i believe you will like this salted caramel pie. the yellow pie is lemon curd, not cheese. At first glance I thought it was sak kei ma. I will like to try the first one but am not too keen on the sweet ones. good instinct cos it does taste like sak kei ma. would recommend salted caramel pie to you. You are such a good food reviewer! So many sweet pies covered in one sitting hehe. Looks like the salted caramel cheese one is the star. One.fine.day. Hehe. If I happen to pass by lah. The pies sound so delicious the way you described them! I must go and try one day. yes do try especially the sweet caramel pie.